A candidate who has not passed the public examination for work at a tourist office can as well be selected and nominated for the job of Director of the Tourist Office, provided that s/he shall pass the examination within one year from an employment date, otherwise s/he shall cease to work following the deadline for taking the examination. A candidate holding the appropriate professional qualifications and at least 10 years of work experience in the tourism profession shall not need to pass the public examination. In addition to the special requirements listed above, a candidate can as well be nominated for the job of Director provided that a measure of safety or protective measure prohibiting the pursuit of tourism related activities has not been imposed on the candidate by a final court judgment or misdemeanor ruling, whilst the measure is in effect. A candidate’s non criminal records, including the certificate attesting that a measure of safety or protective measure prohibiting the pursuit of tourism related activities has not been imposed on the candidate by a final court judgment or misdemeanor ruling, whilst the measure is in effect (the original or a certified copy) not older than three (3) months. The director of a tourist office shal not be allowed to carry out any catering or tourism related activities in the area for which the tourist board has been established. The director of a tourist office shall not be a member of any administrative or supervisory body of any trading company or other legal entity that is a member of the tourist office. The deadline for job submissions is 15 days from the date of the announcement of this competition. Job submissions shall be delivered to the address: Turistička zajednica Općine Vrhovine, Senjska bb, 53223 Vrhovine, with the corresponding note on the envelope: “Director of the Tourist Office – Do Not Open”. Incomplete and untimely submissions shall not be considered. The Tourist Council of the Vrhovine Tourist Board can invite the eligible candidates to sit for written tests and/or interviews. Candidates shall be notified on the outcome of the selection procedure within 30 days of the date of the Decision on selection of candidates is taken at a session of the Tourist Council of the Vrhovine Tourist Board. 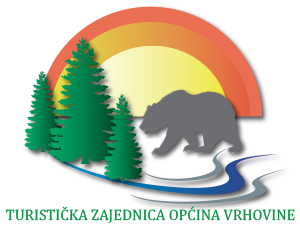 The Tourist Office of the Vrhovine Tourist Board reserves the right not to appoint Director in accordance with the announced competition herewith, and can cancel the competition without explaining the reasoning.